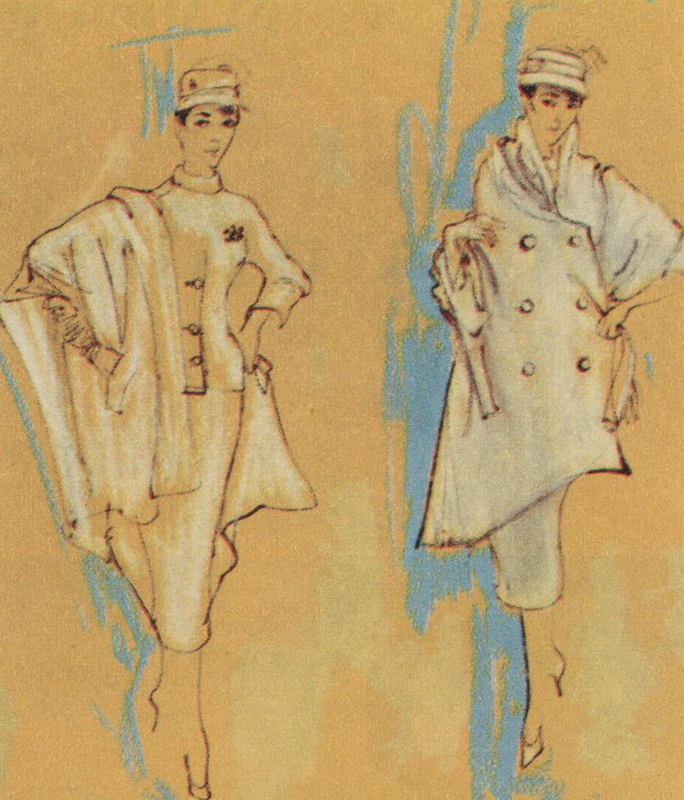 Dior's pale beige cheviot two-piece dress (sketch, below) from 1955 has a high turtle neck and wonderful big stole-jacket that closes with a double row of buttons. And here it is to in the American adaptation, looking pretty darn similar. 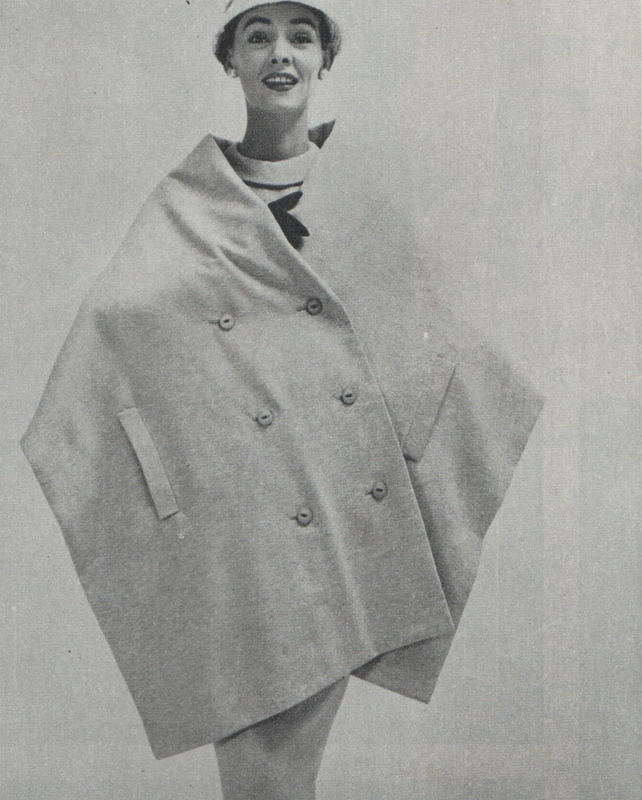 I'm not sure what to make of the stole-jacket. What do you think? It looks incredible in the illustrations but I don't care for the American version in the photo. I don't know whether this is the usual fashion illustration vs real life issue, or to do with the fabric choice. It looks stiff, and not as flowing and luxurious as the sketch. I totally agree, Tanith! I am not sure why they made the American version so rigid. It looks uncomfortable to wear. And yes, the illustration looks fabulous. it looks fine in the drawings but a bit weird on the model. One of those items that is great in theory - in a sketch or on a stationary model - but would be totally impractical in real life. I agree that the american version has been made from too stiff a fabric and would look much more like the original in a softer, drapey fabric. We are in agreement, jennywren. :D I would love to see this in a softer fabric that flows.